From 2000 to 2003 Professor Hickie was CEO of beyondblue: the national depression initiative, and from 2003-2006 he served as its Clinical Advisor. In 2003, he was appointed as the Executive Director of the Brain & Mind Research Institute (BMRI). In 2006, Professor Hickie received the Australian Honours Award of Member (AM) in the General Division; for services to medicine in the development of key national mental health initiatives and general practice services in both the public and non-government sectors. In October of that same year, the Australian Financial Review included Professor Hickie in its list of the top 10 cultural influences. The specific comments noted his role as a “long-term campaigner”, “the person who orchestrated the campaign” that led to the COAG announcements ($4 billion over five years). Professor Hickie was appointed to the Prime Minister’s Australian National Council on Drugs from 2007 to 2011, and has led the BMRI as a founding member of the new National Youth Mental Health Foundation (‘headspace’). Also in this year, Professor Hickie was elected as a Fellow of the Academy of the Social Sciences in Australia. 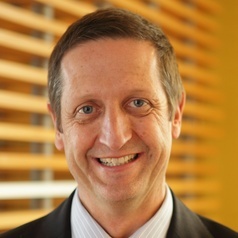 From 2008-2013, he is one of the first round of new NHMRC 2008 Australian Fellows. From 2008 to 2011 he was appointed to the Federal Health Minister’s new National Advisory Council on Mental Health. In November 2009, Professor Hickie received the Research Australia national advocacy award for his work in mental health. In 2011 he was appointed to the Mental Health Expert Working Group (MHEWG), Department of Health and Ageing.